You know you should do it. You’ve been meaning to do it. Put down the paint, stop with the yard work, and this weekend just do it. 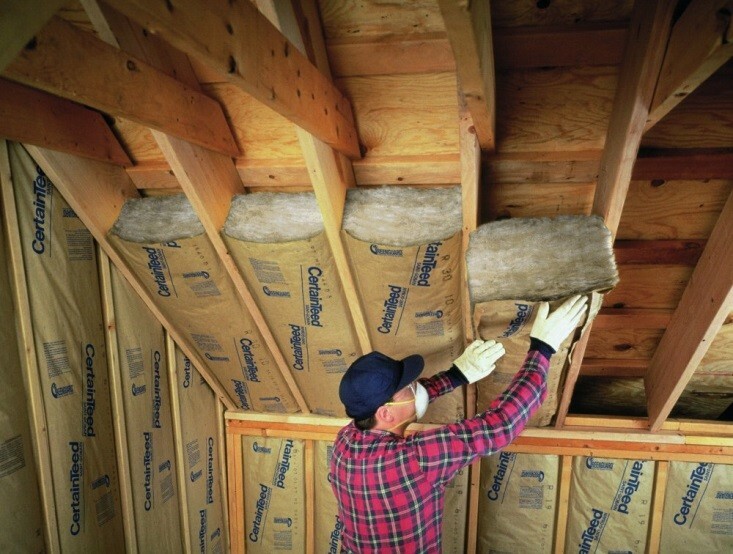 Add insulation to your house and reap the benefits for the remainder of the summer – and all winter long, then next summer and the winter after that – you get the idea. You need more insulation. Harvard School of Public Health published a report stating nearly 46 million homes are under-insulated in the U.S. So unless your house was built in the last 10 years or you’ve just completed a full house renovation, it’s probably safe to assume yours is among them. The basics are, well, pretty basic. All the choices can be intimidating but insulating doesn’t need to be. As a general rule batts are quick to install and work well in wall studs and attics. Blown-in insulation is great for insulating irregularly shaped areas with lots of nooks and crannies. Working in an area prone to moisture – kitchens, baths, and exterior walls? Make sure you have a vapor barrier. There you go. There’s your primer. Insulate when you renovate: This one obviously will not apply to everyone, but since it is the best and easiest time to insulate I thought I’d throw it out there for all of you planning to rip out a wall this weekend. Whether you’re doing it yourself or hiring a contractor, while the walls are open is the optimum time to take a look at insulation levels. If you are working with a contractor ask them about adding insulation. It is not something they always include in the estimate but it’s well worth adding it to the scope of work. Fill the Attic: Ok, so exterior walls are hard to reach unless you are taking them down for a renovation project, but the attic is up there exposed and waiting for some more insulation. Batts, or rolls are readily available through lumberyards, hardware stores or distributors. Use our Where to Buy tool to find a supplier near you – it may surprise you how close someone actually is. Adding insulation is something you can do yourself. There are lots of resources available on the web that will step you through the process or check out our video series on installing batts. Designed for professionals it’s a good primer to get you started. Another good option for attics is blown-in insulation. It’s great at filling in those awkward corners and hard to reach spaces and with a little prep (watch this video) it is something you can do yourself. Bonus you get to rent this cool machine. One note on insulating attics – NEVER cover attics vents with insulation. According to EnergyStar.gov it’s one of the most common mistakes homeowners make. Spray the gaps: Also available at the hardware store, cans of spray foam insulation. These are not for spraying your walls like you saw on TV. For that you need a professional but these cans are handy for sealing up around doors and windows. Unless you’re in the middle of a renovation project you’ll need to first remove the molding. Then just follow the manufacturer’s instructions to attach the provided nozzle and you are ready to go. The insulation will expand to fill the space. There are several varieties of spray foam on the market. Make sure you select one specifically designed for windows and doors. Insulate your outlets: Often made from closed cell foam these little insulators fit under the outlet or switch cover. Unscrew the switch or outlet cover, insert the precut foam piece then replace the screws and you are done. Since air can sneak in around them, all outlets on exterior walls should be covered. Schedule an energy audit: You don’t even need to break out the tool box for this one. All you need is a phone. An energy assessment reviews your home’s energy use and provides a detailed plan to improve efficiency. The auditor goes room by room and conducts energy tests like the blower door test; many will also a perform a thermographic scan of your home. This colorful read out shows you exactly where heat is being lost. To find a qualified auditor, first check with your electric or gas utility – they may conduct assessments themselves or have local auditors they recommend. If they are unable to help the Residential Energy Services Network provides a directory of certified energy raters and auditors. Look for someone certified by the Building Performance Institute (BPI). A professional audit can cost between $300 and $500. Energy savings are estimated at 5-30%. Actual savings and how long it takes to recoup upfront costs depends on what was identified and which recommendations are completed. Ok, there you go five things you can easily do this weekend to put your home on its way to energy efficiency. Time to get improving. *One final note from the EPA - Savings vary. To find out why, go to www.energystar.gov. Higher R-Values mean greater insulating power.